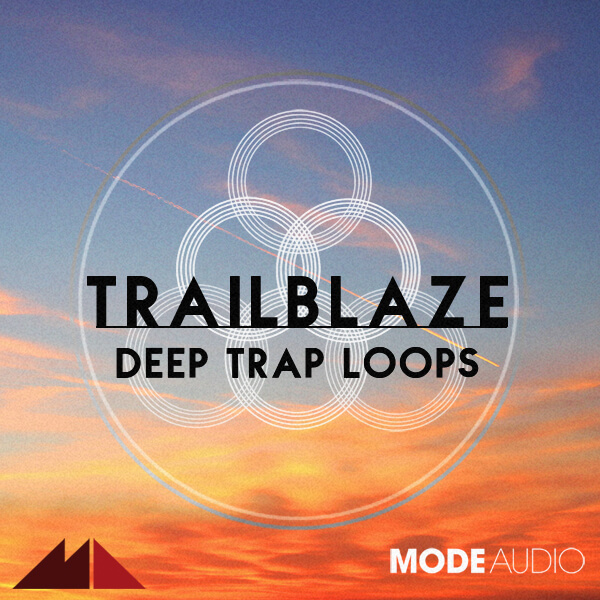 ‘Trailblaze – Deep Trap Loops’ is the glistening result of ModeAudio’s adventures in the sound lab, mixing and melding the deep, thundering groove of Trap with the sweeping, aerodynamic lilt of Ambient and Downtempo. Shapeshifting through the skies but taking the form of 120 handcrafted loops, 120 accompanying MIDI patterns and 43 full-frontal drum hits upon landing, Trailblaze offers the fire, the fury, the flight and the fantasy all in one shimmering loop pack. A mesmerising array of flavours both gritty and crystalline have been captured for ‘Trailblaze – Deep Trap Loops’, encompassing densely detailed drums, sweet, delay-drenched pianos, monolithic, fuzzy basses, delicate xylophone and bell sounds, haunted synth plucks, brooding tuned kicks and uplifting, reverberant pads. The rich and resonant loop material featured in this pack is spread over 6 folders, covering tempos from 71 up to 85 Bpm although all can be tempo-synced with your master project. The MIDI loops give you the flexability to layer up any and all of the loop patterns to your heart’s content, with the drum hits folder offering up deep kicks, searing snares, chunky claps, sparkling hi hats and plucky percussion. Drive a double dose of thick, dirty bass and sugary, saturated treble into your music – throw ModeAudio’s ‘Trailblaze – Deep Trap Loops’ into your productions now!